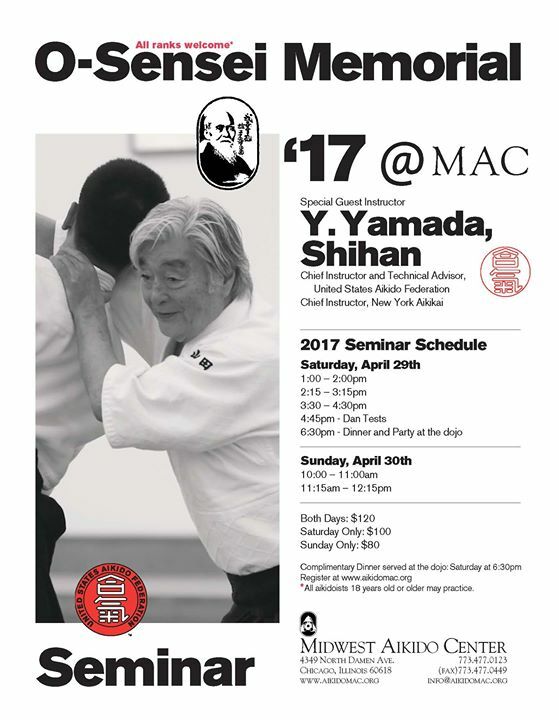 Click here to view the 2017 O-Sensei Memorial Seminar flyer. Ready to register? Click here to register for the Seminar in Chicago.